- Sari Colt on 五月 10, 2013. 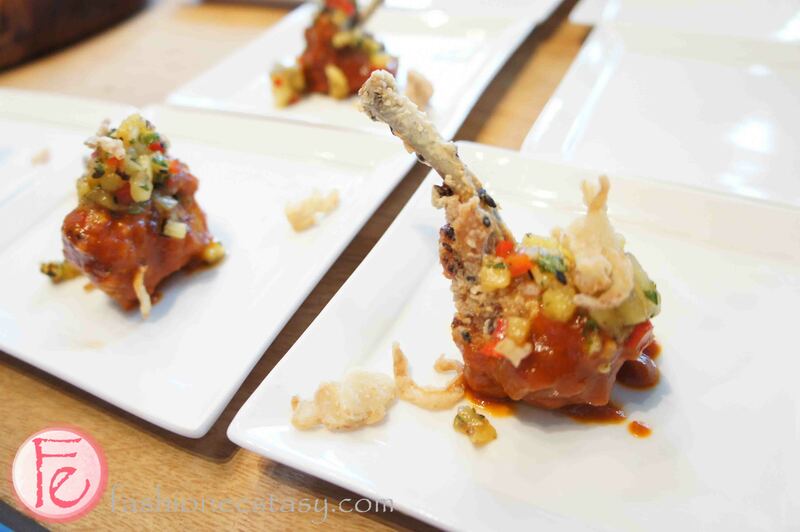 It was a foodies’ paradise at the Ultimate Food Challenge (UFC) 2013 benefiting Daily Bread Food Bank. Held at the hip and modern Corus Quay, attendees got to sample tasty dishes like Asian Chicken Drumettes by Chef Devan Rajkumar ( Food Dudes), Icewine Lobster& Basil Ravioli by Chef Jason Parsons ( Peller Estates Winery Restaurant) and Devils on Horseback by Chef Alexandra Feswick (The Samuel J. Moore, The Great Hall). All of these were complemented by wines from Peller Estates with the Ice Wine Cuvee being personal favourite. 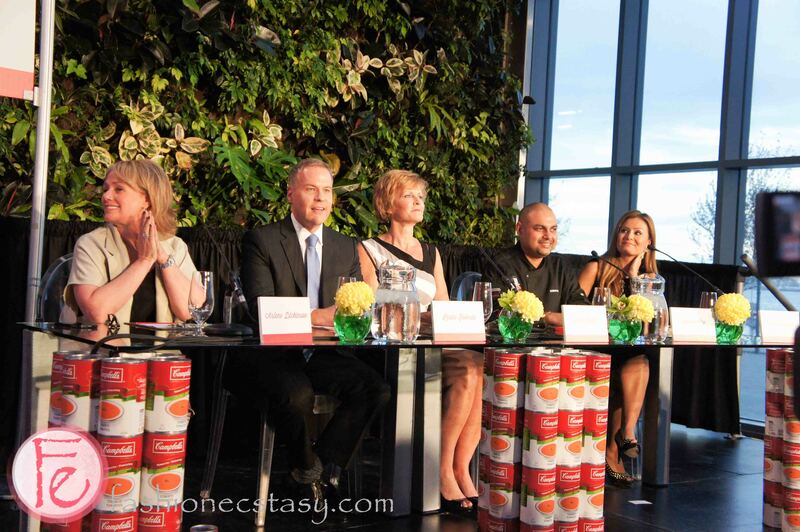 Judging the Challenge were Dragons’ Den‘s Arlene Dickinson, CHFI‘s Morning Show Erin Davis, CP24 News Anchor Melissa Grelo, Global News Anchor Leslie Roberts, and Campbell Soup ( the evening’s main sponsor) Executive Chef Suman Roy. The event was hosted by Sirius Radio‘s Humble Howard who added some levity to the night. The competing chefs were given 25 minutes to prepare noteworthy dishes using Daily Bread Food Bank‘s pantry staples. 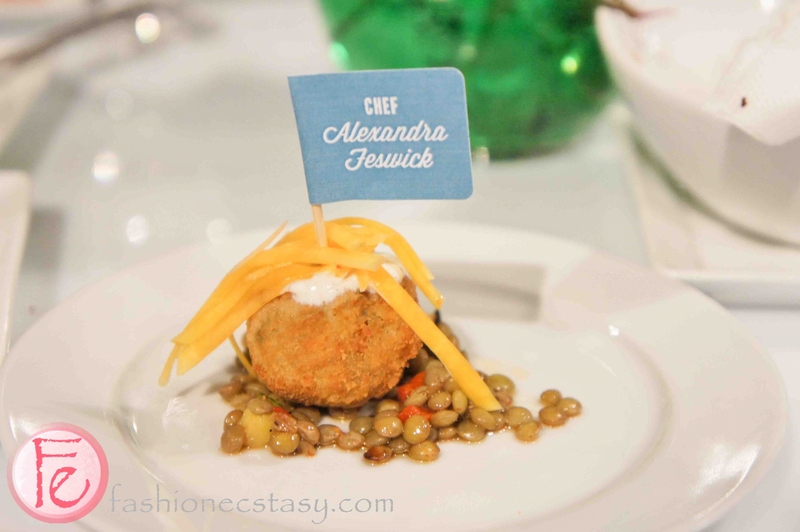 And the chefs did not disappoint, with scrumptious dishes like Chef Devan‘s Veggie Sliders, Chef Alexandra‘s Western Falafel and Chef Jason‘s Ham Croquettes. The ultimate winning dish was the Western Falafel. In addition, Daily Bread Catering Kitchen supplied wonderful Ceviche and assorted vegetarian canapes, served by graduates of their food-service training programs. 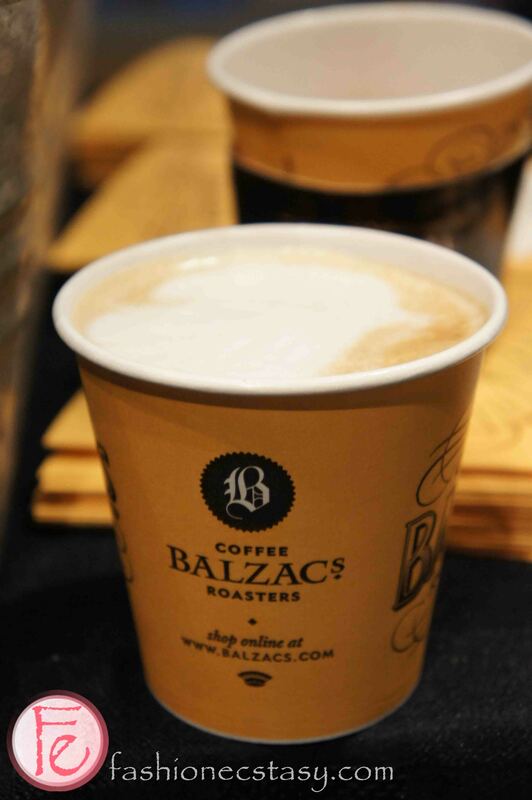 To complete the evening, Balzac’s Coffee offered assorted coffees including the very addictive iced coffee (made with organic milk and maple syrup), which paired well with brownies and cheesecake from Dufflet . Leaving with a full belly one couldn’t help thinking of the many people who rely on the Daily Bread Food Bank for their basic nourishment and how important it is that we continue to support all food banks with their fundraising endeavors.